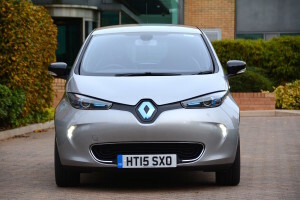 The all-electric Renault ZOE must surely be the perfect car for city driving, and the latest version is advertised as having a 149 mile range – but is that the case in real-life driving? The recent Volkswagen emissions scandal has highlighted the issue of local air quality. The emissions from diesel cars impact badly on local air quality; petrol cars aren’t as bad, but they still have emissions. However pure electric cars have zero tailpipe emissions, and so are ideal for use in our congested urban areas. 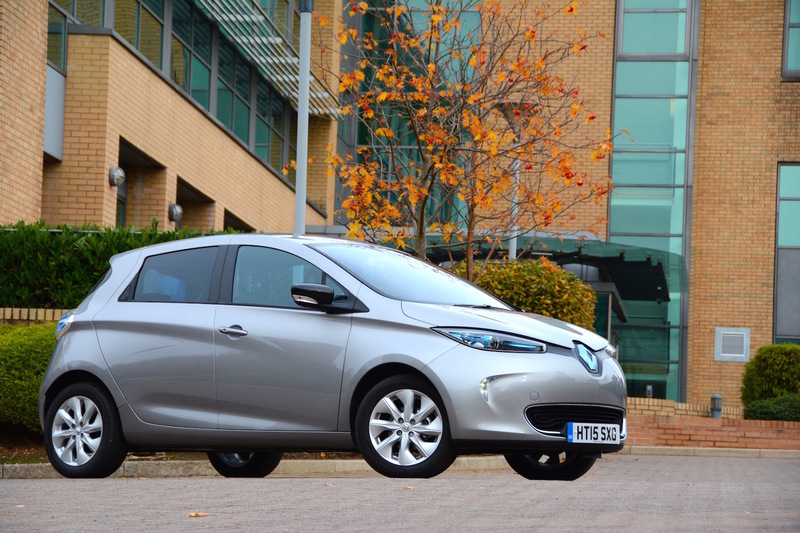 The Renault ZOE is also a compact size for city driving – so surely it must be the perfect city car? 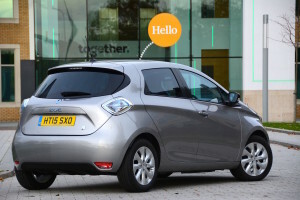 The ZOE is a stand-alone model that’s only available as a pure EV. Although it’s a compact five-door supermini, it still has five seats – and a decent boot. 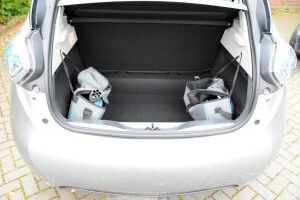 The rear seats even fold flat to provide an increased load space. We think it looks good, inside and out; it’s simple, stylish and modern. With many functions controlled by the touchscreen, the dashboard has the minimum of fuss. In terms of the technical stuff, the ZOE has a 400V, 22 kWh capacity lithium ion battery (which weighs 290kg) and a 65kW (88hp) synchronous electric motor. 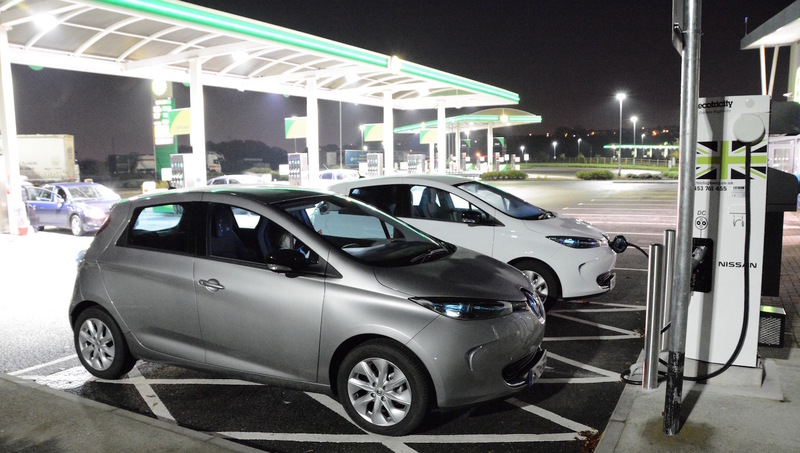 It also has a ‘Chameleon’ charger, allowing the ZOE to be charged at different power levels using the same socket, enabling drivers to take advantage of a wide range of charging points. Charging time from a 3 kW (single-phase 16 A) wall box is around 9 hours. If three-phase charging is available, then a 32 A 22 kW charge point can provide an 80% battery charge in one hour, or a 43 kW 63 A charge point can give an 80% battery charge in just half an hour. 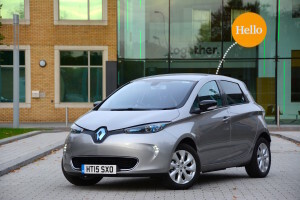 Renault offers customers a free domestic charging point. 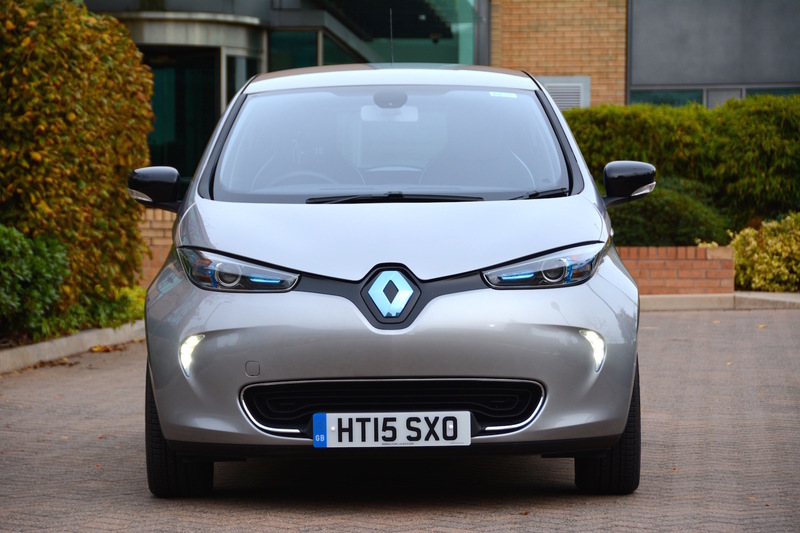 The 32-amp (7kW) wall box, supplied and installed by Renault’s preferred UK EV infrastructure partner, British Gas, is available to all ZOE buyers. It can be fitted internally or externally to the customer’s property. 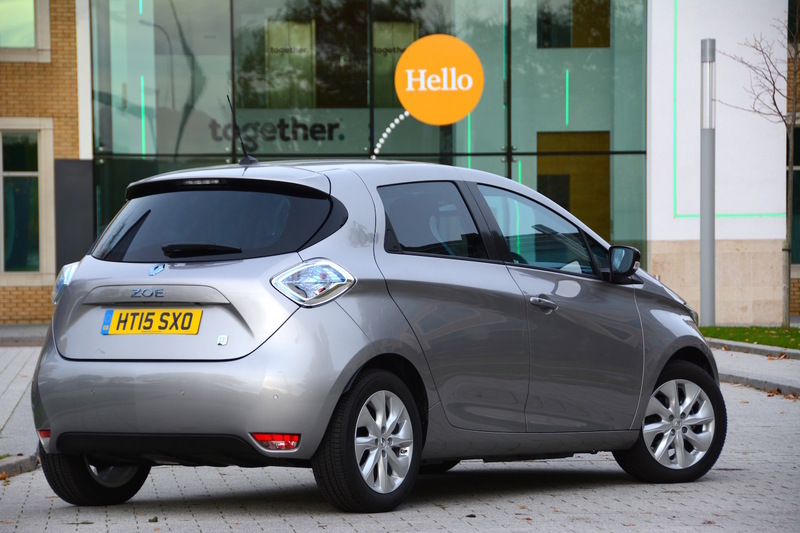 The ZOE is also compatible with over 3,000 public charge points which are live around the UK. 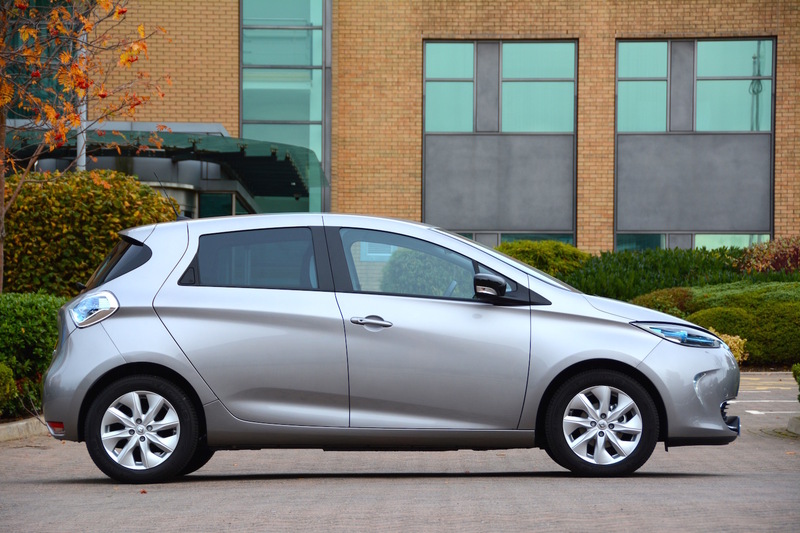 The ZOE has a heat pump, an innovation used for the first time in a production car. To cool the cabin, the system works like a normal electric air conditioning system. To heat the interior, it reverses the operation cycle: air is taken from outside the vehicle, compressed and heated and then directed into the car. This means the cabin can be heated with minimal impact on the vehicle’s range. We did find that the heating wasn’t as effective as a petrol car. The ZOE also has Michelin energy-efficient tyres, which help to minimise the 30 per cent energy loss from tyres on an electric car. 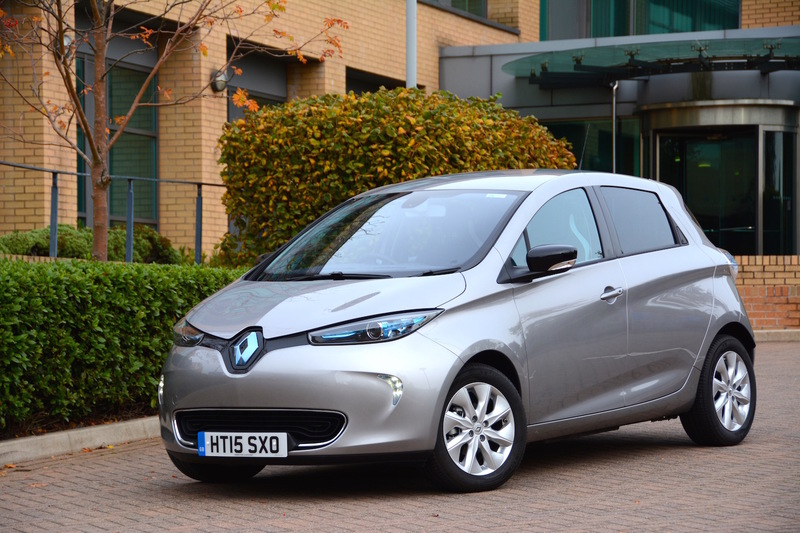 Like most electric cars, the Renault ZOE is good to drive. Instant torque, available almost 100% of the time, results in strong, linear acceleration, which is all the more impressive as it happens in virtual silence. The entire driving experience is extremely refined, and is aided by having no clutch or gear changing. The main powertrain component, the battery, is under the floor, which gives a very low centre of gravity, and improves the car’s handling. The ZOE also has a comfortable ride. The ZOE’s steering wheel has adjustment for reach and height, but the driver’s seat doesn’t go very low, so the seating position is a bit too high for our personal taste. During our week with the ZOE it carried out local journeys perfectly. Electric cars, with their ease of driving and their zero tailpipe emissions, are ideal for trips to the shops or for school run duties. However we thought we should find out how the ZOE would cope with a longer challenge. Therefore we decided to see if our ZOE, together with the ZOE owned by one of Green Car Guide’s part-time contributors, could make it to the UK’s very own Electric Avenue – the Blackpool Illuminations. The distance from Altrincham to Blackpool is 64 miles. The official range of the ZOE is 149 miles. Such a range would allow the two ZOEs to drive to Blackpool and back with no problem. However our car was averaging 73 miles in real-life before needing recharging, and the other ZOE was in a very similar situation. This would mean that we may just about be able to reach Blackpool, but we would need to recharge somewhere to get home. 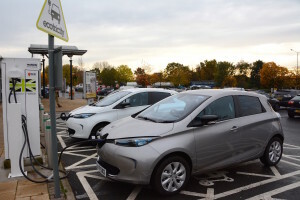 Our research suggested that there was a charge point at Charnock Richard services on the M6, and another charge point on the alternative route of the M61. The number of public charge points in Blackpool – the place in the UK with a seemingly huge electricity supply feeding the illuminations – was: zero. However we did uncover the fact that there seemed to be two charge points at the Hilton Hotel in Blackpool. So armed with what appeared to be the minimum number of charging options required, we set off to the illuminations in two ZOEs. Half way up the northbound M6 we pulled into Charnock Richard services. As advertised, there were two large, new-looking charge points. Both cars were duly plugged in. Both cars duly received zero charge as both charge points weren’t working. Various calls to the ‘authorities’ confirmed that the points weren’t working. We then discovered another charge point, which did work, and managed to inject some charge into the press car, but the other ZOE was not happy and didn’t want to charge. So we had little choice but to continue on our way to Blackpool, hoping that the two charge points there did exist, and that they worked. We rolled up to the Hilton Hotel and experienced mixed emotions – yes there were two charge points, but parked in one of the bays was a red Volvo C30. Although we have driven (prototype) electric Volvo C30s, this one had a D3 badge, suggesting it was a diesel and therefore had little need for an electric charge point. Despite the helpful Volvo owner, we were just able to plug in the leads and get them to reach both ZOEs, and thankfully both charge points worked. In the time it took to take three children around the illuminations, both ZOEs gained enough charge to theoretically get us home. On the way back we used the M61 rather than the M6, and we discovered something else. Roads that have a gradual but long incline up a hill don’t impact upon petrol or diesel cars, but they result in the range read-outs on electric cars going down much quicker than they should. As we approached the services half-way down the M61 we were sufficiently panicked to swerve into the services at the last moment and do a short top-up charge. This gave us sufficient range to get home, although as the journey from there was virtually entirely downhill, we probably didn’t need the extra charge. 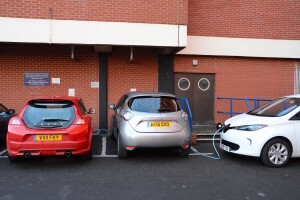 So, the ZOEs performed well on the drive to Blackpool and back, but our experience of the public charging infrastructure reflected the experience of many of our visitors to Green Car Guide – unfortunately you can’t rely 100% on the public charging infrastructure. We normally report on real-life miles per gallon in this section, however as the ZOE doesn’t use any fuel, we need to look at real-world driving range. As we’ve already noted, the official NEDC driving range of the ZOE is quoted as 149 miles. However Renault also publishes the following statement: ‘Likely driving range in suburban driving: Winter season 71 miles; Warmer season 106 miles.’ Our real-life average driving range was 73 miles. The NEDC test has come in for a lot of stick in relation to real-life v official miles per gallon for petrol and diesel cars. However these discrepancies for the ZOE show that the NEDC test may be even more flawed and in need of a serious overhaul for EVs (never mind for plug-in hybrids). Our Renault ZOE i Dynamique Nav cost £20,045 (the price as tested was £20,540). Three trim levels are available – Expression, Dynamique Zen and Dynamique Intens. Rather than buying the ZOE outright (in the case of the ZOE i), you can also buy the vehicle but hire the battery at a monthly rate. Contract terms are available for 12, 24 and 36 month periods, and for annual limits of up to 9,000, 10,500 or 12,000 miles. 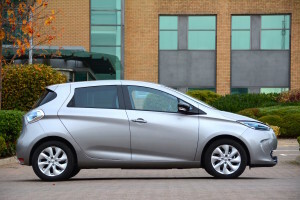 All versions of the ZOE are covered by the Renault 4+ warranty and roadside assistance package. The 4+ warranty guarantees the car for four years or 100,000 miles (unlimited in the first two years). If the battery is hired it is guaranteed to charge to at least 75% of its original capacity, or Renault will repair or replace it. If the battery is bought outright with the car it is guaranteed to charge to at least 70% of capacity for five years or 60,000 miles. With battery hire, Renault provides 24/7 roadside assistance, including help if the battery runs out of charge. 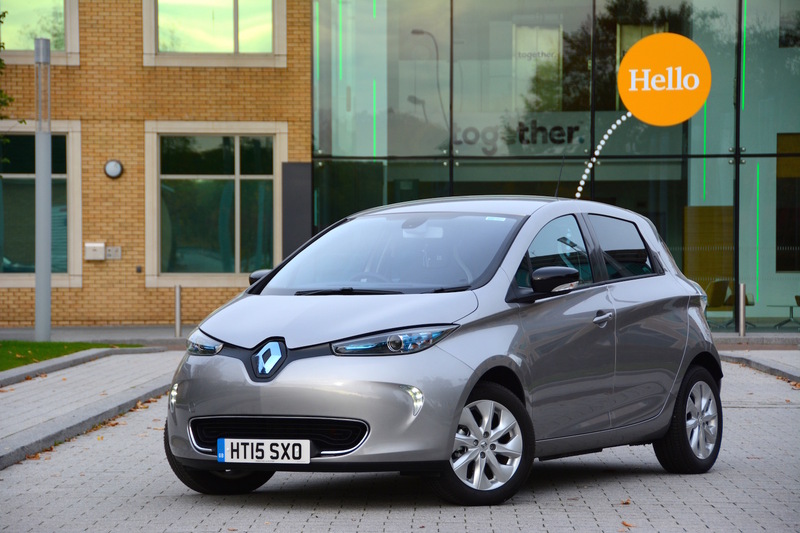 With battery purchase, Renault provides four years’ breakdown cover at the roadside or at home. The electric powertrain in both cases is covered for five years or 100,000 miles (first two years unlimited mileage). If you buy a ZOE you also get a 7kW domestic wallbox charging point installed by British Gas. Despite what the bloke down the pub may say, electric cars are the future. Car manufacturers, the UK government and the EU all need EVs to get CO2 emissions down. And then there’s the issue of local air quality, which will only become more of a big deal. 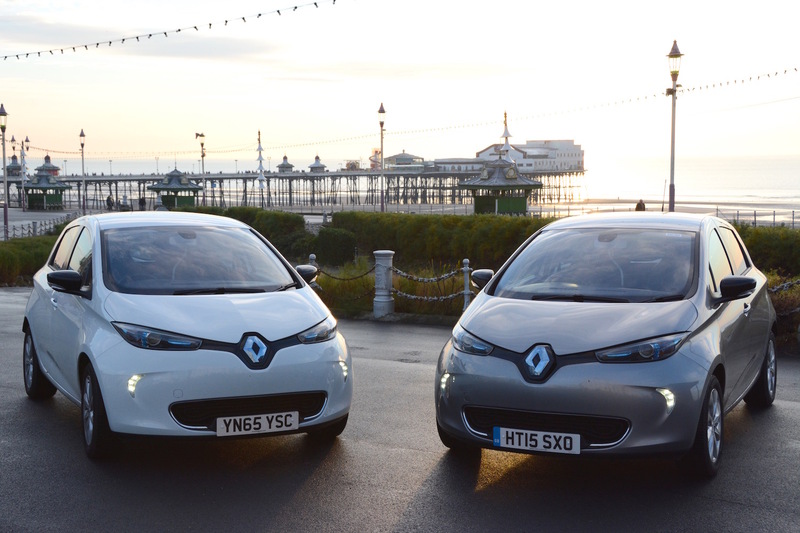 So the Renault ZOE is the future. And unlike some electric cars, it’s an affordable future. It’s also great to drive, being smooth, refined, and having instant torque. There are two main issues, but neither of these can be directly attributed to the ZOE. The first is the huge discrepancy between the NEDC range of 149 miles and the real-life range of 73 miles. This could really upset some buyers. Then there’s the public charging infrastructure. 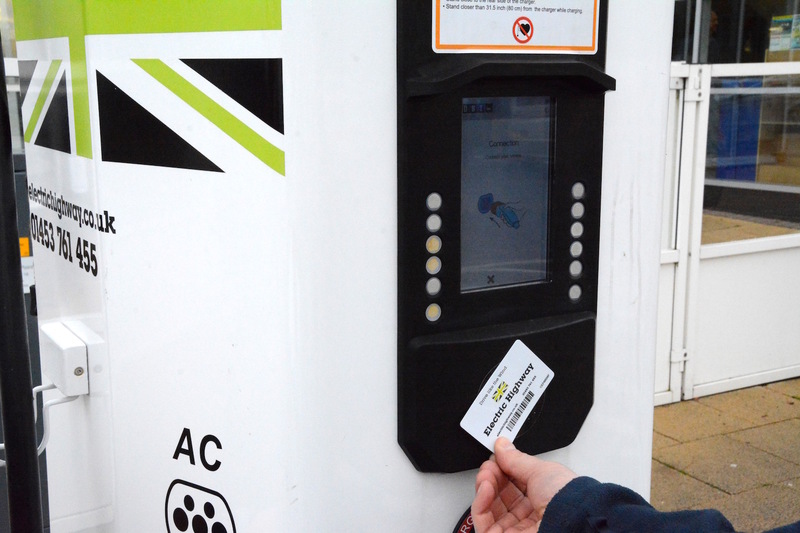 Our experience backs up what we’re told by visitors to our site – unfortunately too many charge points don’t work. And the issue of a petrol or diesel car being parked in an EV bay also isn’t unique to us. 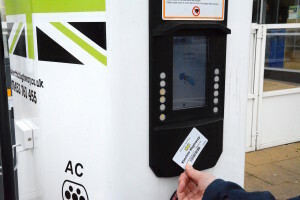 And then there’s the problem of whether the charge point has the right connection for your car, and whether you have the right membership card for the charge point. EVs are the ideal solution in urban areas such as London, however many people in London don’t have off-road parking where they can recharge the car. 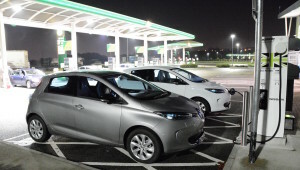 So the pattern that has been emerging is that EVs are very common as second cars, when there is already, for example, a diesel car in the household for longer journeys. This scenario is typically in suburban rather than city areas. In this scenario, the real-life range of the ZOE – of under 100 miles – is less of an issue for many people. The Renault ZOE gains a Green Car Guide rating of 9 out of 10.